Over the years, British architecture has evolved through a number of design influences and nowadays our building stock includes places to live, work and visit that span many centuries. Fitness for purpose is said to have been the mantra for building design even in medieval times, and the grand cathedrals and parish churches built then were required to be functional as well as decorative. Early buildings, of course, were considerably colder than contemporary ones, and in Cambridge the King’s College Chapel, which was completed in 1515, remained without windows until about 1546. The advent of glazing The use of glass in housebuilding became one of the symbols of wealth during Tudor times, and thus rooms became bigger and lighter. Stone and brick began to replace timber and by the time Longleat House in Wiltshire was completed (1580) fancy pilasters flanking the huge windows were incorporated as Renaissance ideas crept into British architecture during the 16th century. During the 17th century the British Baroque styles took hold as aristocrats emulated the grandeur of European buildings, such as the Palace of Versailles, and by the 18th century Joseph Vanbrugh’s Blenheim Palace had been built. The cult of styles From this time onwards, no single architectural style predominated and a real eclectic mix of buildings emerged. Georgian influences began to be felt and there were a few signs that a Gothic Revival was going to take place. By 1851 the huge iron and glass Crystal Palace had been created and reformers like William Morrison and John Ruskin were complaining that industrialisation had undermined the role of artists and craftspeople. In the early 20th century Le Corbusier was testing concrete frames for buildings and Gropius was experimenting with huge sheets of glass, however post-war Britain demanded cheap housing and prefabricated elements, as concrete cladding and metal frames inevitably became part of the housebuilding scene. Calling the tune Local authorities and large corporate bodies dominate the shape and style of the architecture of today and, apart from those who have the luxury of designing and building their own home, the rest of us must rely largely on an occasional extension and the ability to transform our homes and offices on the inside to make our personal design statements. 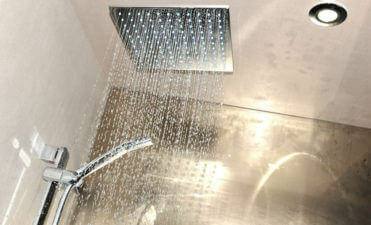 There are some things we can do, though, that make a difference inside and out. For example, many people are now removing ‘modern’ windows fitted from the 50s to the 80s to Victorian and Georgian homes and instead installing traditional hand made sash windows in the original, appropriate style. 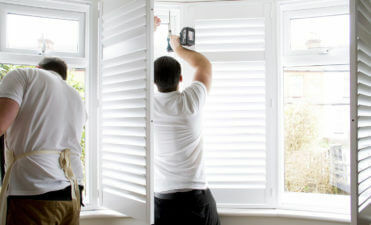 Several London companies design and make replacement sash windows and it is not difficult to find a reputable supplier. 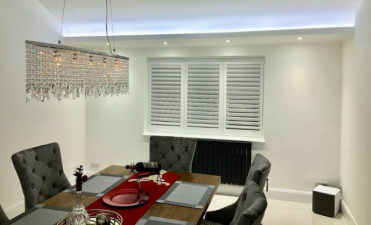 Window coverings In just the same way, nowadays many British people are returning to shutters as alternative window coverings to blinds or curtains, no matter what kind of house they live in. This is because shutters provide insulation, thereby reducing heating costs, as well as allow control of light and privacy. 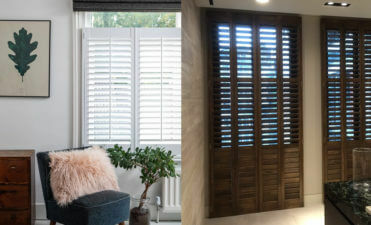 For those seeking places to find bespoke shutters, Bromley manufacturers ShuttersUp provide an excellent service to the Kent and South London areas and the company’s testimonials testify it is one of the most popular providers of shutters Kent homeowners like to return to time and again.